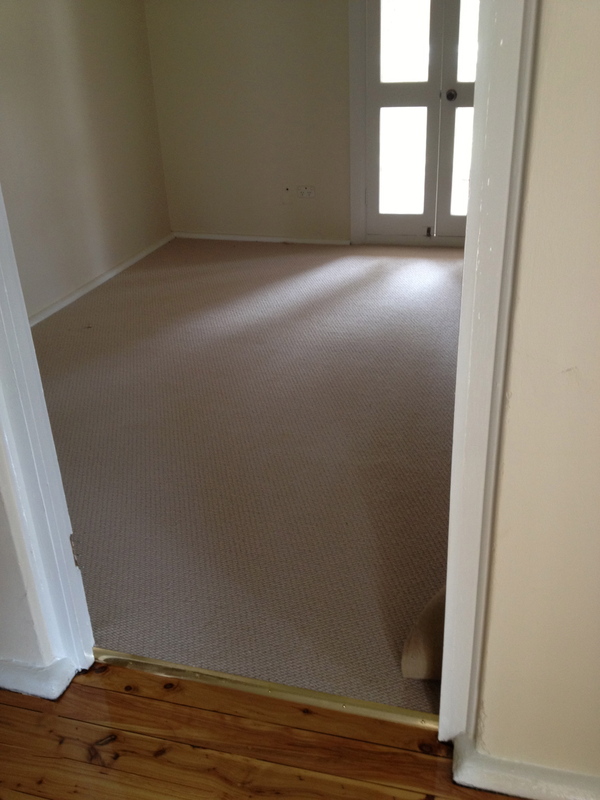 From the Hall through to my room with new carpet (!) 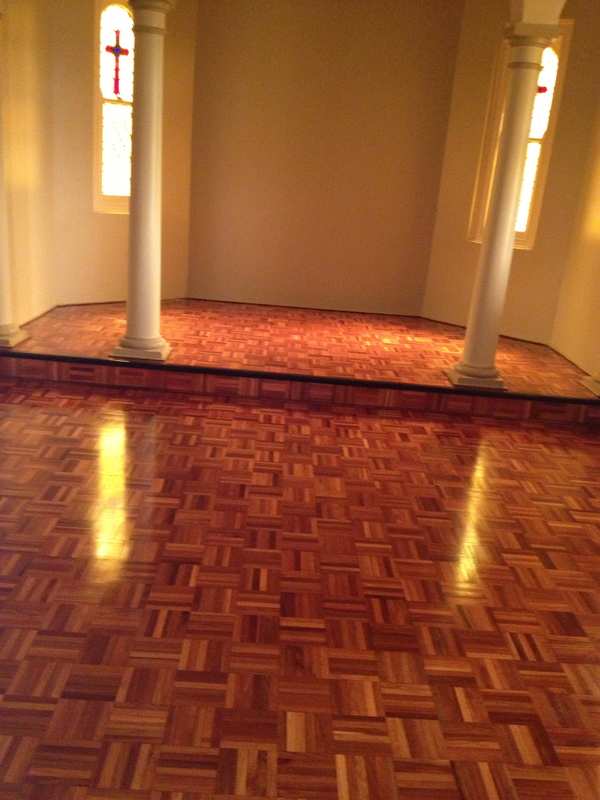 and view through to the verandah (now also polished). Just a quick trip and back in a day to have a peek and do some watering. I couldn’t go inside as the floors are mid-polishing but could look through a few doors. Through the back door looking to the Study. It’s hard to imagine that it was only just over a year ago that I made my first trip with my friend L to see the Convent. At the time I didn’t even know where Kandos was. Whilst I fell in love with the Convent and location, it was also very shabby and unloved – peeling paint, drab and worn floor covers and obviously unlived in for some time, with piles of crunchy dried slaters along the skirting boards. The Chapel floor in all its glory. Whilst I could see the potential and realised that much of the work was only cosmetic and within my reach (although I had originally been seeking a fully renovated property – albeit not a Convent! ), I had no idea just how well the old girl would respond. 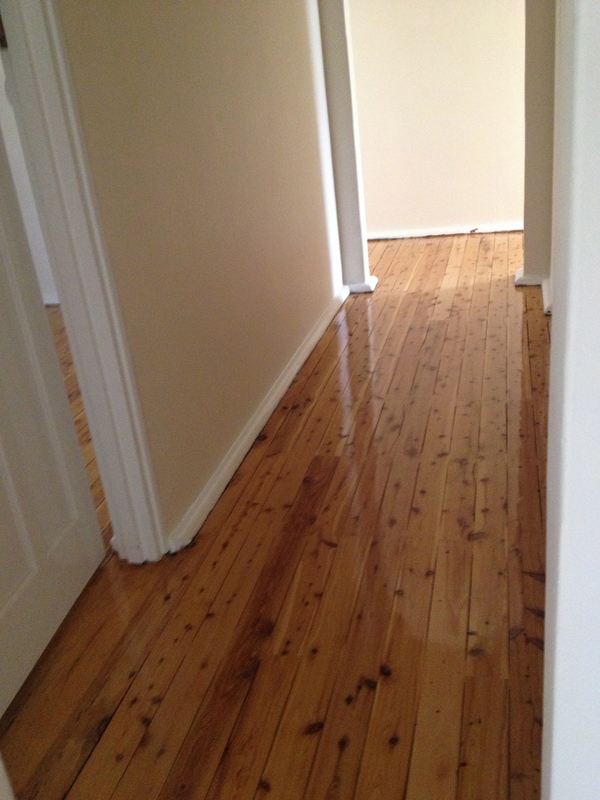 She has risen to the occasion every time and looks wonderful after each tradesman works their magic. She has also revealed her own surprises with the cellar, lovely old fittings and parquetry chapel floor as well as some of the finds such as the old church sign, processional cross and wonderful original large decorative hinges. I can’t wait now to start putting in furnishings and decorating the place with personal touches, especially since camping there with minimal personal effects since November. A mini move will take place in the next few weeks and each car trip will contain more items. 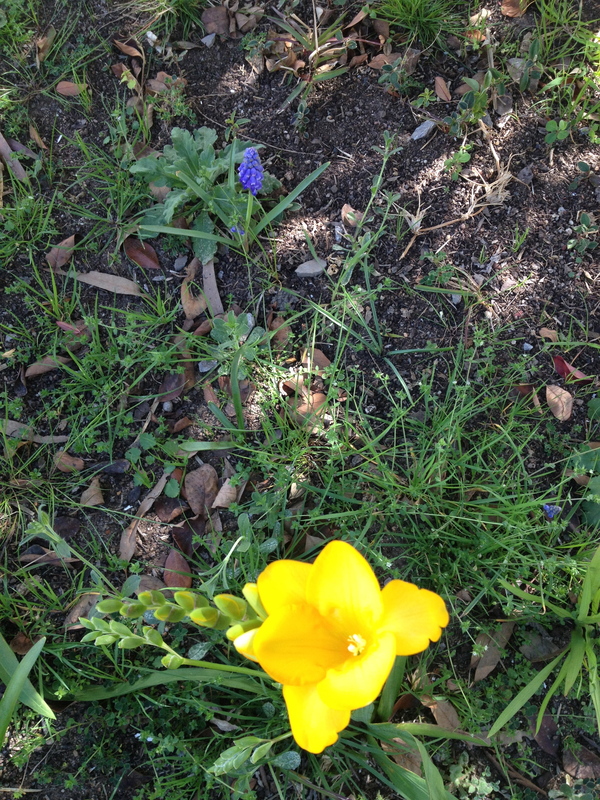 The first of the Freesias. 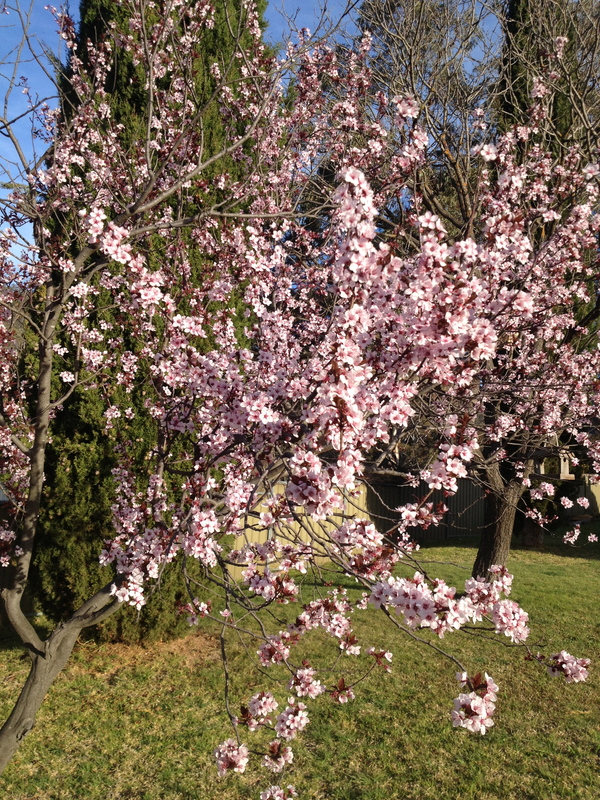 As for the garden, Spring is already in the air. Some bulbs are fading but others are still coming into their own. The Freesias under the Catoneaster are just starting to flower after having come up and had buds on them for so long. The first ones are large and bright yellow, which look lovely with the Grape Hyacinths and Snowdrops. The old Prunus that looked so tortured (and the neighbours regularly suggested could come out with the other plants), has responded well to a trim, feed and mulch and is flowering dramatically. The Anenomes are working hard in the central front bed as the first flowers. I’m not sure what will come up here after my “seed throw” but I’m sure I will get some Cornflowers and I’ve also added a few Delphiniums. Blue and white are great colours for this location. The Manchurian Pears are getting their first leaves and many of the plants that were dormant during Winter and were hit heavily with the frosts, are now beginning to show signs of new growth, although I think there may be just a few casualties we will not see again. I’m sure the Sprouts are not supposed to look like this! The veggie beds are doing well – the Berry bed is shooting to life and for the first time I can see new growth on the canes. Along with the disastrous beans which were planted at the wrong time and were annihilated by the frosts, I apparently planted peas that were purely ornamental, which have now become compost fodder after waiting months for action. 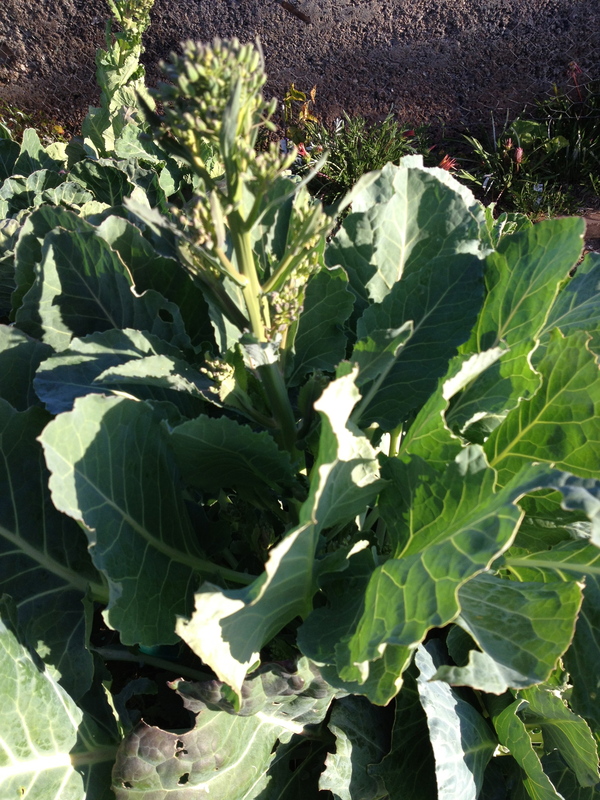 The long- awaited Brussels Sprouts, unless I am sadly mistaken, have gone straight to seed. I’m sure they’re supposed to have sprouts and not look like Broccoli – sorry L. I know you had great expectations but this is all very new to me. However the Broad Beans ( of which I have many planted) are now bearing well and I have taken a pile back to Sydney to make a Risotto. Much of the white external sections have now been painted or at least been undercoated and have brightened the place up. 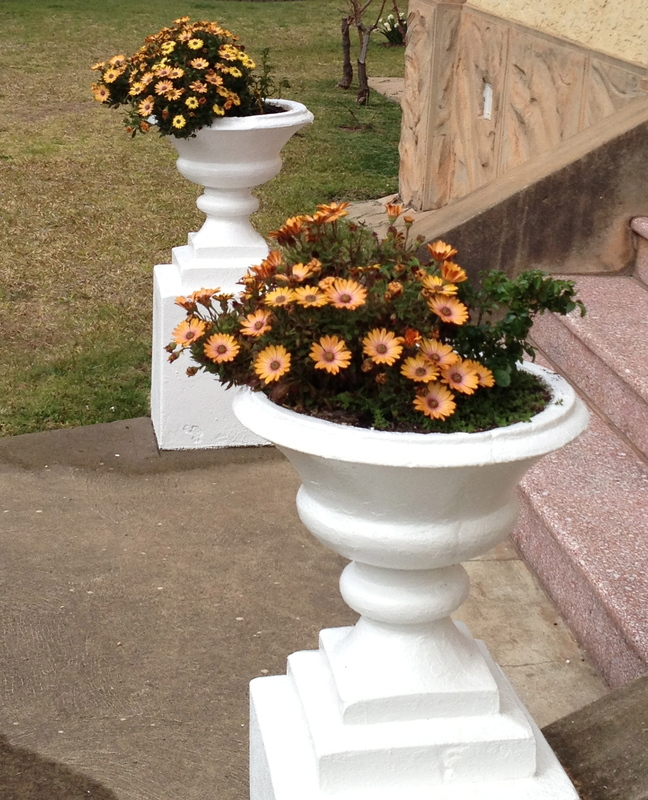 The original front urns host Gazanias that go well with the paintwork and have filled out well. The back of the Convent, whilst still showing slight signs of the old dark stains, is now so much cleaner with the paintwork really glowing. I may need a new banner for the Blog! Anyway, I’m hoping this last two weeks is the longest I will be away from the Convent for some time. It will be wonderful to be moving in to the renovated home, making it permanent part of my life and being there for Spring to see everything come to life. These Gazanias suite the old urns – and need to be able to take plenty of heat. Brilliant. Time for new photos for River Cottage? Sorry – Competition is closed. Still waiting for the phone call. Surely the Convent was one of the winners!